When searching for the right gift to give someone, people often overlook flowers because they think they are more suited to be exchanged between lovers. Flowers aren’t always for romance. With such a wide range of shape, colour, and scents, flowers can be great gifts for people of all ages and relations. Flowers can say “I love you.” in more ways than one. Despite the popularity of using roses, in particular red ones, to represent romantic love, their use to express familial love has grown in popularity as well. There is also an increasing demand for flowers based on just their colour and appearance, not on their ulterior meaning. 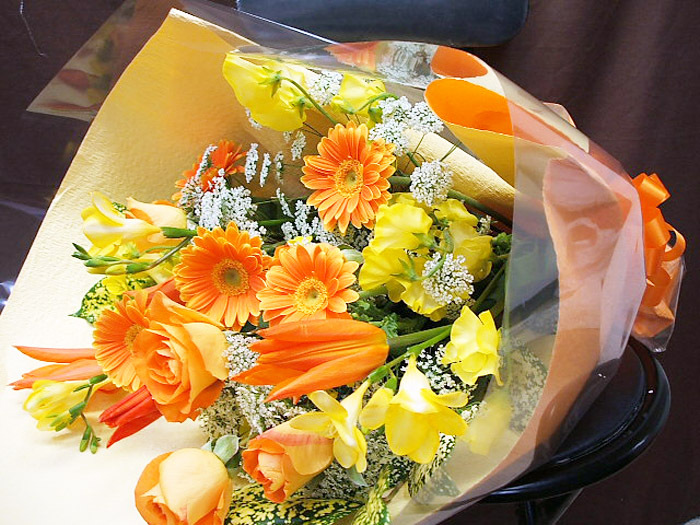 Getting someone a flower or bouquet in their favourite colour scheme can be a nice way to show you care about them. They make good gifts for boys and girls. Floral arrangements are not just for little girls any-more. As the population changes over time, it is becoming more acceptable for males to enjoy flowers as much as females. The ability and desire to appreciate their beauty opens up to more people every year. Gifting flowers to both genders helps to break the mold that says flowers are only for girls. 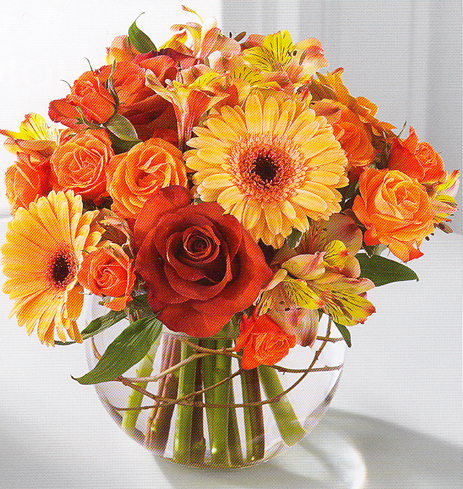 Buying an arrangement, or making one, can show how much you care. Home-made crafts are a great way to show effort and care when presenting a gift. Whether you buy and arrange them yourself, or let a professional create something based on details that you give them, the recipient is sure to notice the thought put into it. Choosing favourite colours and favourite flowers, if they have such, shows that you know them and care enough to try and make them smile. Scent helps with creating strong memories. Memories formed from intense experiences can be vivid treasures when you include something that stimulates the sense of smell. 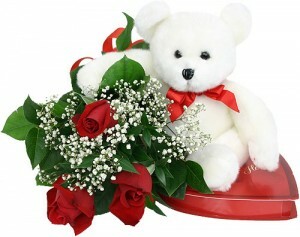 Getting someone the gift of flowers and presenting them in a unique way can really help them hold onto the moments. Try having them close there eyes and inhale to see if they can guess the present. A well arranged selection of flowers can provide an intoxicating bouquet of aromas capable of bringing a smile to most faces. They are versatile and can enhance other gifts. There seem to be as many types of flowers as there are stars in the sky. With so many shapes, colours, and scents to choose from flowers truly are versatile. Pairing a bouquet that is as unique and wonderful as the intended recipient with a re-usable vase or container gives them a present they can enjoy in the short and long run. The vessel you deliver them in can be about as varied as the flowers themselves and add a sense of whimsical pleasure. Common pairings are stuffed animals, edible goodies, and even as part of bath and beauty collections. No matter you pair them with, flowers have a unique way of giving even simple presents that special poetic touch.